Long: an increase in price is expected. It’s a buy signal. Short: a fall in price is expected. It’s a sell signal. Neutral means that no trend could be determined regarding the underlying. If a long or a short position was already open, this can be considered a sell signal. If no position was open, wait before opening a new one. Sell ETH for USD / USD stablecoin when the signal turns to neutral if we had a long or short position previously opened; wait to open a new position if there were not. Short sell ETH if the signal turns to short. 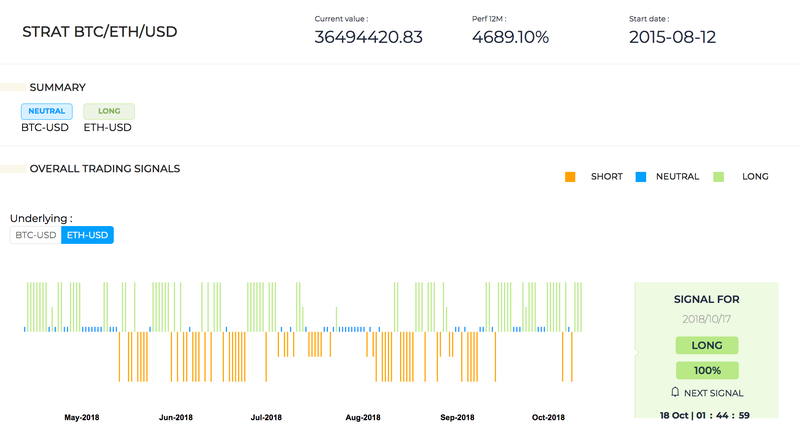 Short selling means to borrow ETH and sell it right away for fiat, wait for it to fall, buy it back at a lower price, then return the assets to the brokerage you borrowed them from, and pocket the difference. You will have to use a broker allowing margin trading to be able to short sell an asset. Be aware that a short sale is particularly risky. It should only be used by experienced traders, who are familiar with the risks. Learn more about it here and there. We do not provide price targets with our signals or a time frame for the trade. It’s all market driven. Signals 101: Buy when it’s green, stay away from the market when it’s blue, short sell when it’s orange. This model is the result of our BTC/USD, ETH/USD and ETH/BTC strategies and few priority rules between them. The goal is to enable you to optimize your asset alloccation between BTC and ETH by taking into account these three strategies as a whole. The performance of this strategy is calculated in USD. • for ETH, either -100%, -50%, 0%, 50% or 100% (long/short). The weights are displayed in the strategy overview of the signal tab, as well as in the timer area if you access the details. When BTC and ETH positions are at 0%, it will be assumed the portfolio is 100% allocated to USD or equivalent (e.g. stablecoin). • BTC 50%, ETH -50%: allocate 50% of your funds to buy (long) BTC, and 50% to short sell ETH. Trading signals are updated daily at market close. Crypto markets being open 24/7, closing time is set at 00:00 (12:00 AM) UTC for the crypto strategies (BTC/USD, ETH/USD, BTC/ETH). For market opening and closing hours, see here (third-party website — we assume no liability). 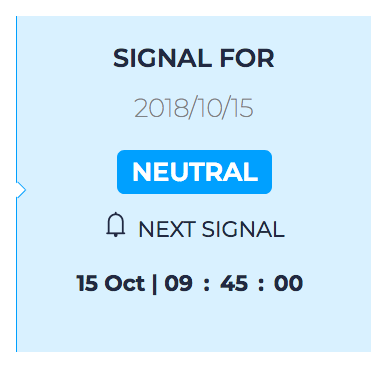 Within two hours before the signal is made available, date and time are replaced by a countdown and the website reads “Next signal in”. The website uses your browser/computer time information to adjust the display in your account, so that it always matches your current time zone. Absolute date and time (left) vs. timer (right). Markets’ inherent volatility and price discrepancy as well as a delay in the execution of your order may lead to short-term spreads between our strategy and your own execution. Given our models are low- to medium frequency, such phenomena should not significantly impact your long-term performance. • our most dynamic strategies, which will execute a trade per day at most (e.g. ETH/USD), whereas less dynamic ones will tend to trade once over a period of several days to several weeks (e.g. Gold). We do not provide an API at this time. Which broker/exchange platform should I use? You can use the broker/exchange of your choice, however we recommend to trade only on trusted platforms offering good liquidity. On the centralized exchange side, Binance, Coinbase, Huobi, UpBit, Kraken or Bittrex, to name a few, are well-known patforms that have a good reputation, a solid customer base, a reliable trading engine and will provide a good level of liquidity. On the DEX side, IDEX, ForkDelta, Bancor and Kyber are worth considering. For an overview of the trading platforms available, exchange rankings on CoinMarketCap’s, CryptoCompare’s rankings and CoinCap.io are a good place to start. The average performance delivered by a low- to medium-frequency strategy is measured over the long term (12 months and more). In all case, the fact that it is positive does not mean that all trades it has initiated have been or will be systematically beneficial. You have access to in-depth reporting for all our strategies. Go on the Strategies tab and click on Details to access the statistics, KPIs and monthly performance distribution of the strategy of your choice. We do not guarantee the accuracy, efficiency or future performance of our signals. A signal may very well prove inadequate, i.e. the market will not necessarily move in the direction identified by the strategy. No strategy is foolproof and that past performance is not indicative of future results. Only the market can be always right. Because of their low to medium frequency, our trading algorithms are not necessarily sensitive to daily price fluctuations. Their position (signal) may therefore remain the same while the underlying experiences a certain volatility. This is especially true for crypto markets, where volatility is high. Our most dynamic models will execute a trade per day at most, whereas less dynamic ones will trade once over a period of several days to several weeks. 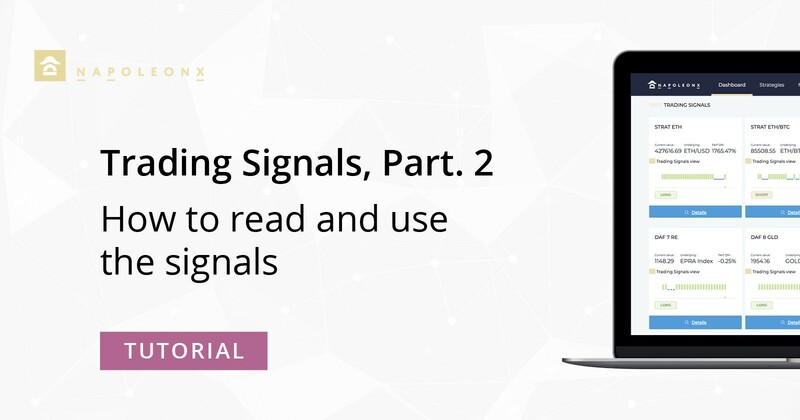 Now that reading the signals and executing your orders have no more secret for you, use them wisely, and have a safe trading! Want more? 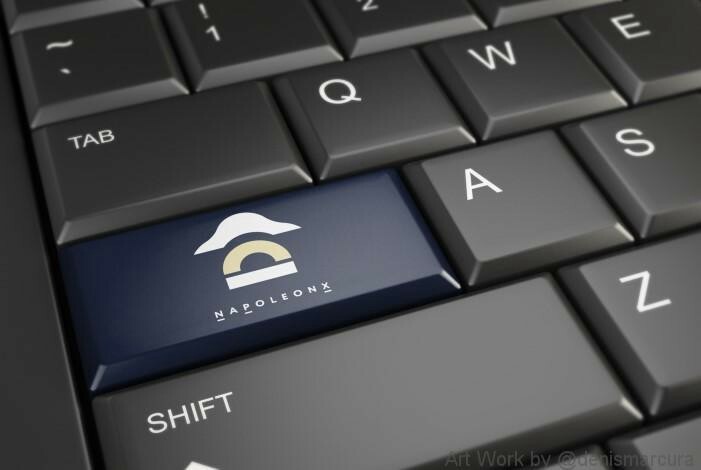 NapoleonX provides trading signals for traditional and crypto assets (stocks, gold, bitcoin, ethereum, and more to come), sentiment analysis for bitcoin and ethereum, a selection of financial news and in-depth content.